Honda, one of the best Japanese car manufacturers launched its SUV in the year 1995 by the name of Honda CRV. According to the Japanese press, CRV stands for “Comfortable Runabout Vehicle” but according to sales material distributed in the UK it referred to “Compact Recreational Vehicle”. CRVs assembly line exists in many countries like England, Japan, Taiwan, Philippines, Thailand and Indonesia but it was initially started in Sayama, Japan, and Swindon, UK, for international markets. 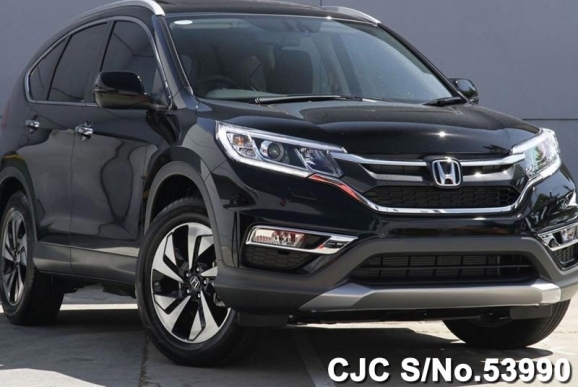 This five-door CRV could be stated as Honda’s mid-range comfortable utility vehicle which stands between HR-V and larger pilot. It was Honda’s first in-house design of SUV and was considered a luxury vehicle in Japan due to its eye-catching exterior and width dimensions. This luxury SUV was taken by the tide of criticism due to mismatch of engine power and size. So after huge debate and time of 4 years in 1999 in response to this criticism company finally decided to upgrade the engine to 2.0 L B20Z with the ability to produce 147 hp, and also altered interior and exterior of the car but company decided to keep the price same although it was a great change in engine capacity. In that first wipe of change, this Luxury SUV also modified its external and internal features drastically, particularly for European, Australian and Asian region. In the exterior, both front and rear bumpers were modified. Very unique colours were added to the list of paint choices like “Nighthawk Black”, “Pearl Blue” etc. European models were also added with large Honda emblem on the front grill. The Australian version of the car with high specifications was called “Sport”. It was added with thick grills, coloured bumpers and unique components. Hard spare wheel cover an added a sense of class to it. In 2000 it was marked best at the sales charts. In same year special model was also introduced in North America. In 2005, the Honda decided to give its trendsetting SUV a mid-cycle refresh. It was then equipped with 16-inch wheels which was an inch larger than the earlier model. Apparent changes included modified taillights and headlights with more clear indicators. The new headlights were provided with two separate sets of bulbs for adjusting the low and high beam of light which was different slightly than the previous setup of single bulb used for both. The grill was also modified by using two horizontal bars instead of one and round fog lights were introduced at the bumper. On the other hand, the rear bumper turned narrower this time. Off and on Honda CRV showed many changes in different generations consecutively and stayed at the chart of bestselling vehicles. If we speak about the latest one, the 2016 model, so according to general reviews it also brought lots of innovation in it. 17-inch alloy wheels, rear safety glass and many other features added worth to this car. It is fuel efficient and has exceptional fuel economy as compared to other available SUVs. It has greater room inside and it has adjustable seats. Cargo capacity has also been increased to make it more suitable for the family’s holiday travelling. Its safety features are also incomparable but this time no engine upgrade is available which could be counted as a shortcoming of the new model. According to reviews, some interior material doesn’t match the class of this SUV. But as a whole Honda CRV is one of the best SUVs available in the market.